The Light & Cam tab allows you to adjust the camera and lighting in your OvrStream Project. From here, you can manage lights by controlling the amount and type as well as their parameters. The easiest way to get a Dynamic lighting effect is by adding a Lighting Preset from the Library. 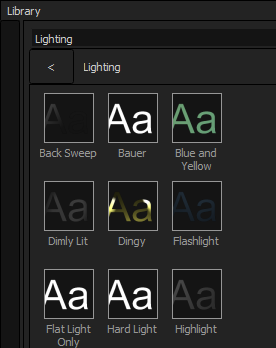 Simply go to the library and select Lighting from the Drop Down Menu. From here, you can apply a light preset to your composition. 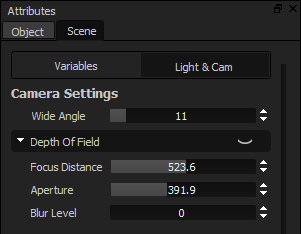 The Light and Cam tab offers you the ability to control the scene’s wide angle and Depth of field Settings. 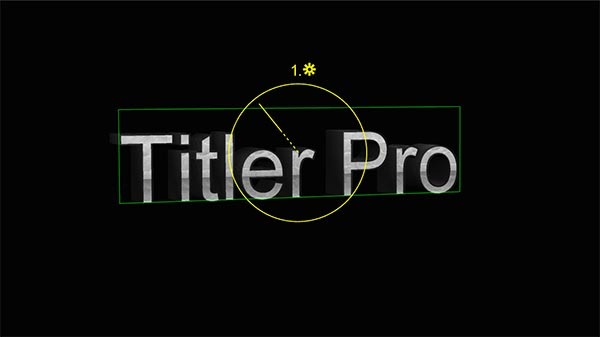 Wide Angle will distort your titles as if they were being viewed through a wide-angle lens. Adding depth of field will mirror camera focus and blur. Focus Distance: Determines the distance from the camera that is in focus, this setting will let you decide what’s in focus. 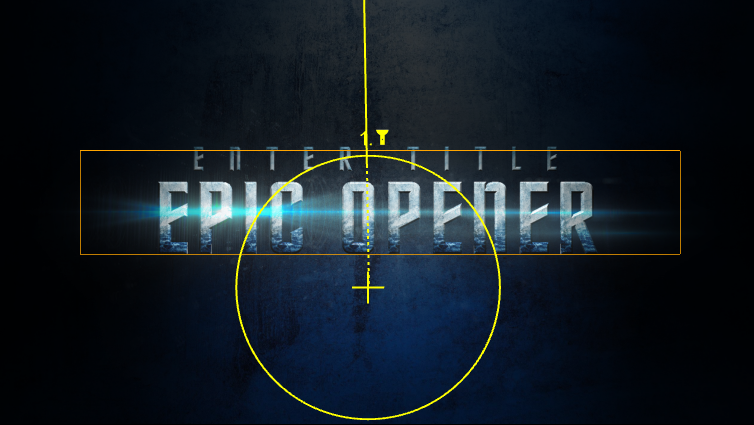 Aperture: Will determine the size of the focus area, the larger the number, the tighter the focus area. Blur Level: Specifies the amount of blur to apply to the out of focus area. You can choose up to 3 lights to use in an individual project and select from 3 different types of light. Lights can be manipulated by either entering values in the light settings or by moving the light sources in the workspace area. Lights may also be keyframed in this way. Click and drag the light inside the globe to change the angle of the light. 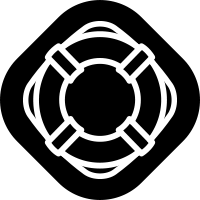 If the light turns gray, it means that the light is now behind the graphic. You can choose from 3 different types of lights: a spotlight, a point light and a directional light. 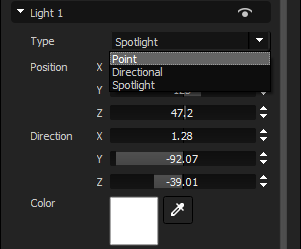 Spotlight can be used to illuminate a specific section of your scene and is directional. Adjust the position that the Spotlight is pointing from using the controls in the preview window or adjusting the Position X, Y, and Z sliders. Adjust the direction that the Spotlight is pointing by using the controls in the preview window or adjusting the Direction X, Y, and Z sliders. Change the color of the light using the color palette or the eyedropper tool. Adjust the brightness of the light using the Brightness slider. 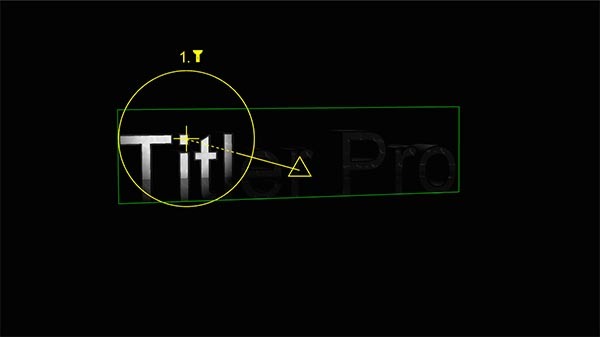 Adjust the beam width to increase or lower the size of the area that the Spotlight handle illuminates. Use the Soften control to blend the edges of the Spotlight gradually into the scene. Turn this all the way down for a hard edge on the Spotlight. Directional light is a light from an infinite distance, like the sun. It casts a constant beam of light across the scene. The light can be any color. Adjust the direction that the light is pointing by using the globe handle controls in the preview window or adjusting the Direction X, Y, and Z sliders. Point lights can be useful in creating different lighting effects. They are omnidirectional and cast light in all directions. This is versatile in that the emission point can be moved between letters and behind titles to create unique lighting effects. Adjust the position that the Point light is pointing from using the controls in the preview window or adjusting the Position X, Y, and Z sliders. 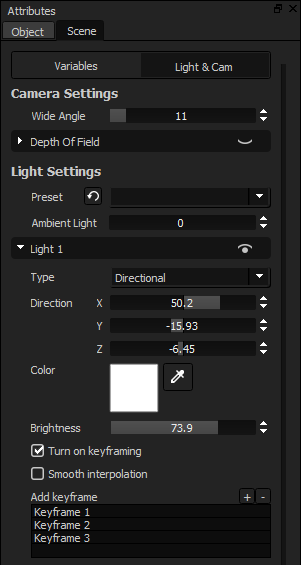 Adjusting the Brightness slider changes the brightness of the Point light and also adjust the width of the light beam. Lowering brightness on a Point light will cause the light to become more localized. Use the scroll wheel on your mouse to set the distance of the Point light to bring it closer or farther away from your title. Each of the lights can be keyframed individually for more dynamic lighting.